The full-frame Leica Q-P is the latest camera to join the Leica compact line-up and it shares similar specs as the Leica Q. 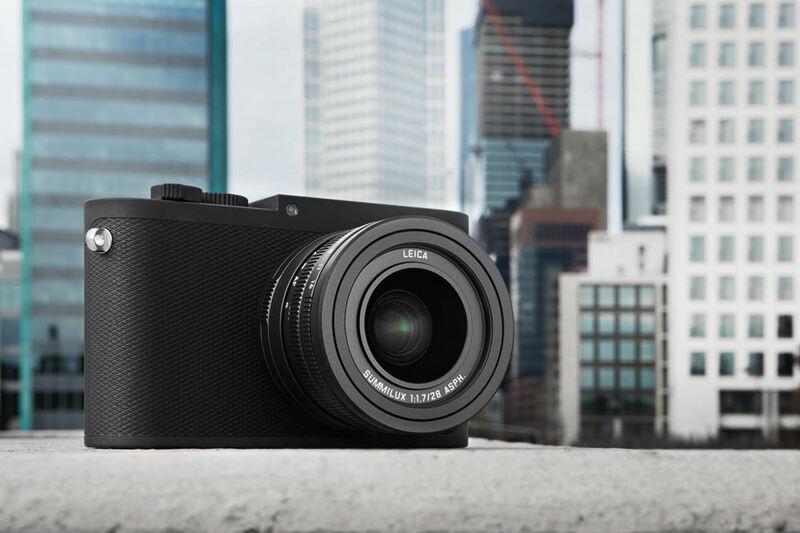 The Leica Q-P is a smart-looking 24MP full-frame compact camera that features the same internal components as the Leica Q, including its ISO range which reaches 50,000 and the same Summilux 28mm f/1.7 ASPH fixed lens. Machined from magnesium alloy and solid blocks of aluminium, the Q-P has the familiar Leica shape and similar to other P models, the red dot is no longer present on the front. Instead, the classic Leica lettering on top lets you know who made the camera. With the dot removed, nothing breaks the eye on the front leaving a clean, matte paint finish and on the back are just an EVF (3.68MP), monitor and navigation buttons. On top are the usual dials and buttons but the shutter button has had a slight redesign to emulate the style you find on the M and CL models. The Leica Q-P will be available from today, priced at around £4100. Beautiful camera, why Leica does 28mm instead of "famous" 35mm? :D:D:D:D ! !......In my dreams !!!!!!! !